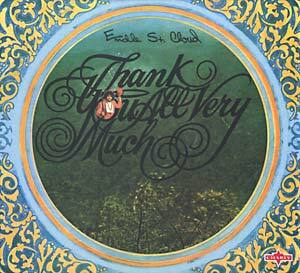 "Formed in Texas in 1968 by Alan Melinger (ex Iguanas), aka Endle St Cloud, David F Potter (ex East Side Kids) and Peter Black (Lost And Found), the group released their debut single under the name Endle St Cloud In The Rain. A little later, prior to recording this album, James Harrell, also from Lost & Found, joined. So, not surprisingly, the Lost & Found influence was pretty evident, with two of the album's original tracks having been released by Lost & Found as their final International Artists single. Most of the album's songs have a spoken introduction over a piano backing (each in a very different style ), whilst the music itself ranges from good time blues to country rock with a leaning towards the heavy, not unlike that of their West Coast contemporaries Moby Grape. Theirs was the last album to be released by International Artists and the group later metamorphosed into Porter St Cloud." Comes in a deluxe digibook with 16-page booklet and International Artists catalog. Bonus tracks: "Tell Me One More Time (What's Happening To Our World)" and "Quest For Beauty."